Wouldn’t it be fun to spend the week sharing tips, strategies, and stories about handcrafting an education? Have you ever had a situation where the best way to learn something didn’t coincide with the easiest way to teach it? Let’s talk about travel and service projects! Where have you been, or where do you want to go? Have you done any service projects? Do you want to do any? Do you have any questions or thoughts about how people learn science, specific science concepts, organizing a science co-op, or incorporating applied math into your child’s science courses? 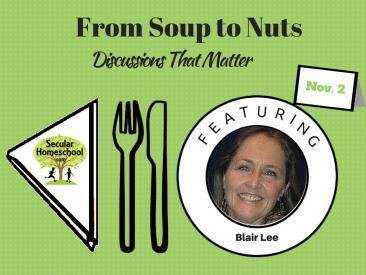 Blair will lead a week-long discussion on the From Soup to Nuts forum over at secularhomeschool.com discussing these issues and others. Blair Lee M.S. is the the founder of Secular, Eclectic, Academic Homeschoolers. When she’s not busy doing these things, she’s busy writing or working on service projects. 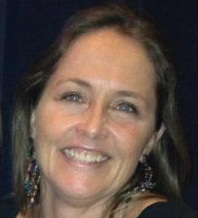 She is the author of the critically acclaimed Real Science Odyssey Biology 2 and Chemistry 1, http://www.pandiapress.com/publications/real-science-odyssey/. She is currently working on Astronomy and Earth Science 2 for the series.